you, watch your back and you do the same, it makes the game much more fun. I find that squads and teams in general that work together, take a lot of the fun out. Littered with bugs and glitches that painfully noticeable, a few things have been fixed since the early access release, but not enough has been done as of yet. Expect a big update on December 6th. Battlefield V feels faster in regard to pace. Forgive me for saying, it feels kind of like call of duty on larger scale. I feel like the lack of game modes is making it a little stale, but on the other hand, all the post dlc is going to be free. That’s pretty sweet, considering the battle pass is normally $50.00 USD. Knowing we’ll be getting a bunch of additional things without the extra cost, allows me to wait out what missing. The storyline is ok. It reminds me of Battlefield 1. It’s pretty short lived though. You’ll burn through it in a few hours on medium difficulty. I personally don’t play the games for the campaign, but I do like to go complete them, just to say I did it. Graphics are very nice, but some of the animations are choppy. Trees falling and freezing half down and then dropping. Buildings collapsing and also freezing or dropping significantly in frames. Just another thing that is planned to be patched in a future update. The audio is outstanding, so there’s that. Crisp, clear and a decent soundtrack that isn’t too hard on the ears. Lone Wolfing isn’t the best option here. I’ve found this game to be more tactical and teamwork really does matter. If you get yourself in a squad of people that are willing to revive you, resupply objective points, support doesn’t much like support. There’s a constant feed of what you might need. Plus I find it a lot of fun to rush into an active battle zone and revive 4 or 5 teammates and rush out. All in all, Battlefield V is a lot of fun, but the bugs and lack of content, really drag it down. It was clearly not ready for release, but I suppose EA put the pressure on and forced DICE to push it out the door. Unfortunately, that puts a damper on things. Again, the post dlc is free and that speaks volumes to me and many others. Honestly, I was getting tired of paying for a season pass and seeing all the dlc content given away for free a year after release. On a side note, I want to address something that you may or may not agree with. I have had a handful of people that claim to be diehard battlefield fans, tell me that a real Battlefield fan knows this game is trash and wouldn’t endorse this title. I actually hear this with every game that comes out. I am a gamer. I love video games. I tell it how it is and I don’t play the whole CoD is better than BF, etc. I explain why and how I score titles by explaining where a game falls short and where they shine. I don’t need to restrict myself to one game and call everything else trash. I feel sorry for those that do. Play your games and enjoy them. That's the whole point, isn’t it? 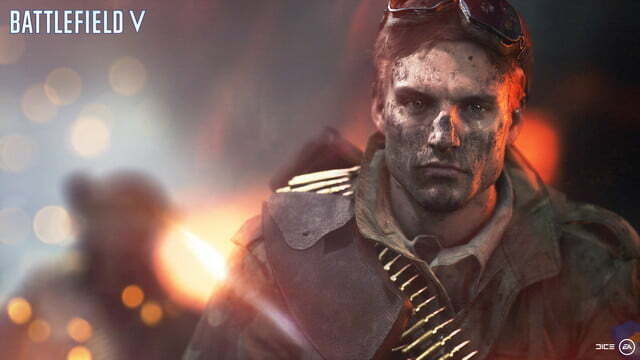 Thanks for reading and be sure to drop me a line with your thoughts on BFV!